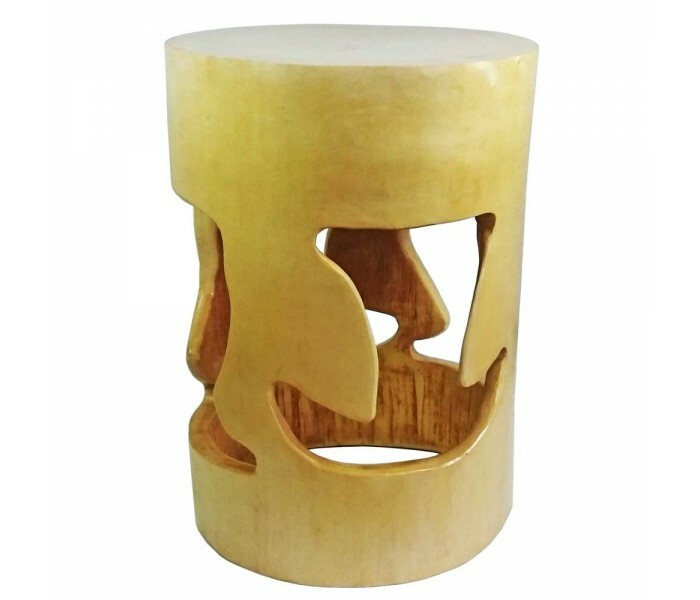 Hand Carved Stool or Bonsai Stand - 35cm tall - Oriental Gifts from Got-Bonsai? Hand crafted from a single piece of larch. Smooth finished rustic stool / stand. Hand carved by a local craftsman from a single piece of larch, this rustic stool could be used as a unique and impressive bonsai stand to showcase your tree. 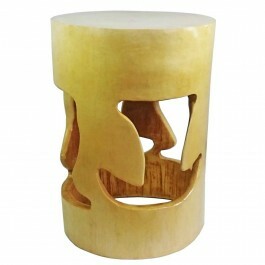 You could also use it as a small stool and it is an impressive ornament in its own right. Smooth finish and measures 35cm tall and approximately 25cm diameter at the top. The pictures show the actual stool for sale. There are many more of these available and each one is unique. Contact us for more information. As this is a natural product the wood may expand and contract over time and could result in cracks forming. Although this can add to the character of the piece, you can minimise it by not placing it near a radiator or heat source and by applying an occasional coat of oil to keep it in good condition. 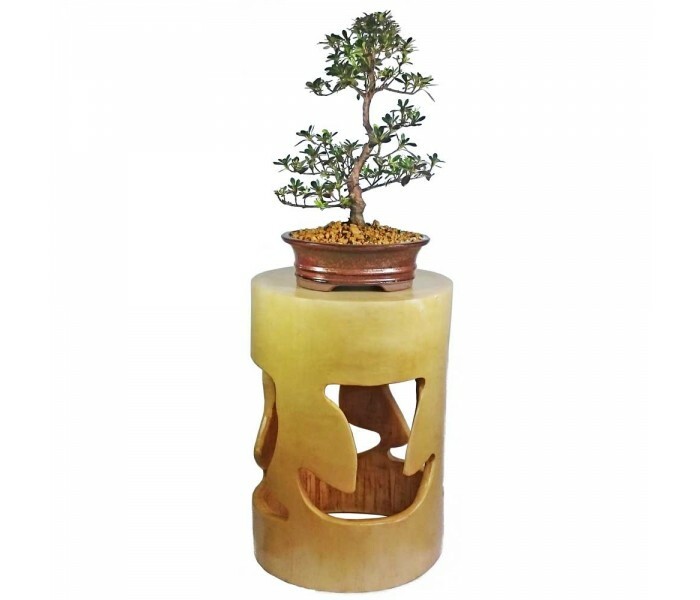 If you are using it as a bonsai stand make sure you use a drip tray to prevent damage to the top of the stool.